Anthony Browne's incomparable artwork illuminates the deeply satisfying story of a lonely girl, a friendly gorilla, and their enchanted night out. Hannah spends all of her time reading gorilla books, watching gorilla TV shows, and drawing gorilla pictures. She has gorillas on her bedside lamp and even on her box of cereal. Hannah loves gorillas and longs to see a real one, but her father is always too busy - or too tired - to take her to the zoo. Then, on the night before her birthday, something extraordinary happens - and Hannah's wish comes gloriously true. 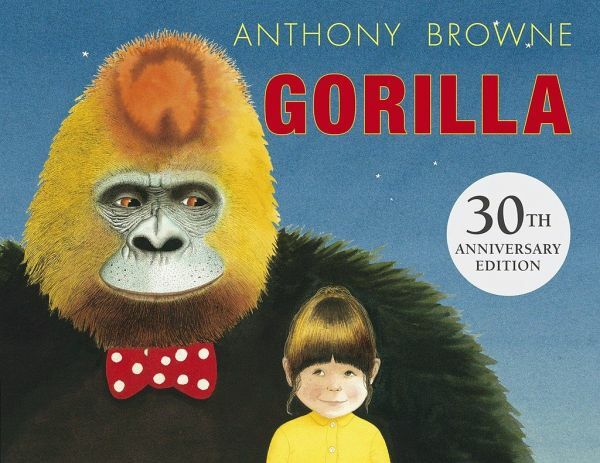 Anthony Browne is the author-illustrator of numerous books for children, including the ever-popular Willy books. He has received the international Hans Christian Andersen Medal, the NEW YORK TIMES BOOK REVIEW Best Illustrated Book Award, the Kurt Maschler Award three times, and the Kate Greenaway Medal twice. Anthony Browne says that he wrote and illustrated GORILLA "while my wife was expecting our first child, and I suppose I must have been thinking about what it means to be a father."